So you think you know the story of Little Red Riding Hood, the girl with the unfortunate name and the inability to tell the difference between her grandmother and a member of a different species? Well, then, try your hand at answering these questions: Which character (not including Little Red herself) is the most fashion challenged? Who (not including the wolf) is the scariest? Who (not including Granny) is the most easily scared? Who is the strangest (notice we’re not “not including” anyone, because they’re all a little off.)? Who (no fair saying “the author”) has stuffing for brains? Master storyteller Vivian Vande Velde crafts eight new stories involving one of the world’s most beloved (and mixed-up) characters in literature. You may never look at fairy tales in quite the same way again. Firstly, I could have sworn I had read something by this author before, which was part of why I was so excited to pick this up, and yet looking through the author’s list of published works, I hadn’t seen one that I have previously read. 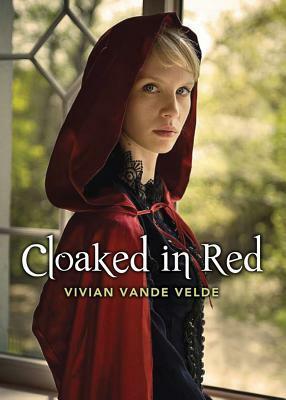 That being said, this book was a quick, fun read of small Little Red Riding Hood fairy tale retellings. I loved that each story had its own little moral. My favourites were probably The Red Cloak, which is the first story, Little Red Riding Hood’s Family, Deems the Wood Gatherer, and Why Willy and His Brother Won’t Ever Amount to Anything. There are 8 stories total in the book. The Red Cloak was my absolute favourite, in which our main character, Meg, has personality and intelligence, even if she is at that age where she is just beginning to mature. She acts responsibly, and admirably, and by the end learns that although her parents might not act as wise as she wises, they still might know a thing or two. Little Red Riding Hood’s Family showcases a rather childish couple, and their very interesting matriarch. Deems the Wood Gatherer features many stories mashed together, with an oblivious and amusing main character. Why Willy and His Brother Won’t Ever Amount to Anything is amusing due to the sheer meta nature that one realizes at the end. All in all, if you have Prime Reading and like fairy tales– go for it! There is nothing listed about this author on Amazon, so I suppose one could picture her however they wish.